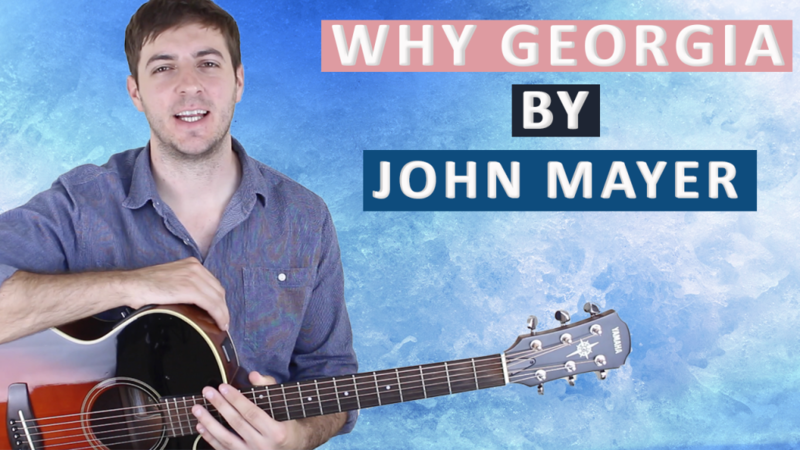 Scroll down for full video lesson (with tab) of Why Georgia by John Mayer. Why Georgia was recorded in 2001 by guitarist and songwriter John Mayer, it appears on his album 'Room for Squares'. The song was his third single from the album after 'No Such Thing' and 'Your Body is a Wonderland', and went on to reach number 2 on the 'US Adult Alternative Songs Billboard'. Why Georgia is no. 31 on my Top 60 Fingerpicking Songs of ALL TIME list. If you've not seen the list be sure to check it out and sign up to my weekly email lesson so you don't miss learning any of these great fingerstyle songs. Mayer is known for his clever songwriting and highly technical guitar techniques. There's no doubt that his songs require some dedicated practice to get to the point of mastering them. He regularly adds percussive taps to his acoustic playing and all sorts of other tricky nuances. In lessons to come we'll be learning his songs 'Stop This Train' (no. 41 on the top 60 list) and 'Neon' (no. 49), which really are quite remarkably well written and difficult to play. Why Georgia is a good stepping-stone before learning either of those two songs and for that reason we're attacking it first. Mayer has a pick tucked away in his fingers as he fingerpicks the intro/first verse of the Why Georgia, then as he goes into the pre-chorus he pulls it out and starts to strum with it. I recommend taking this approach to playing this song as the pick will cut through a bit more when you come to strumming the chords, but this is optional and you certainly don't have to. One other thing to watch out for is the percussive taps he has used on the main riff. By knocking your right hand into the strings and hitting them into the frets, you produce a nice tapping sound, this is replicating a snare drum being played on beats 2 and 4. You definitely want to get this in as 1. it sounds 10x better with it and, 2. it's a great technique to have in your arsenal that you'll find yourself using all the time once you have it mastered. 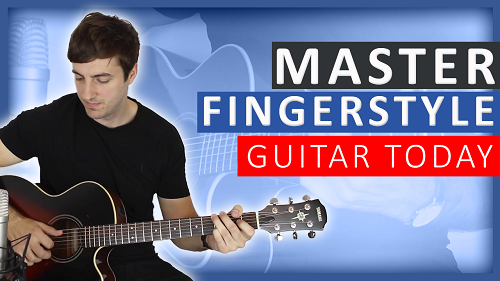 Want to really take your fingerpicking to the next level? If you want to make sure that you're really on the right track with fingerpicking, then try one of my fingerstyle guitar courses - find out more here. If you have any questions or want to share anything at all, then please leave a comment below. I hope you've found this lesson useful and thank you for reading. Just found your website and subscribed. Worked on Why Georgia Why all morning. Excellent tutorial. Thank you for providing the tabs–makes a big difference for me. Thanks for subscribing! Really glad you liked the lesson, it’s not an easy song to learn to play! Great website and tutorials. Have you thought about offering the tabs as a Guitar Pro format download since you have already done all that tab work? Wow that would awesome. Glad you like the site. Do you mean so that you could play and listen to them? Yes, I am new to music theory and I find GP really helps me understand the way the song and notes work. Also very easy to see, play repeating loops for learning, getting timing down, etc. I am still pretty low on the learning curve and the GP files really help. I have transcribed a lot of songs that I am learning myself just to facilitate the learning. Thanks. I have seen other websites, for example, that offer all the tutorials tab downloads in GP format for a membership add-on fee–the combo of your demonstration/tutorial and GP download would be super comprehensive. Yeah, you really have a good point there. I’ll definitely look into that and strongly consider your suggestion. Thanks a lot!